Eating breakfast is a crucial start to any morning because starting the day off hungry leads to low energy and poor eating habits for the rest of the day. Oftentimes, the quickest and easiest breakfast option is cereal, but not all types of breakfast cereal are created equal. Here are some tips for how to choose healthy breakfast cereals, as well as how to take a DIY approach and make your own healthy cereals at home. Rather than being swayed by bright colors and health claims on the packaging, go straight to the nutritional facts and ingredient list when you’re choosing store-bought cereal. Choose whole grains to get the nutrients your body needs rather than refined grains that often lack fiber. Ingredient lists with terms like “100% whole” in them are often good choices. You’ll also want to choose a cereal that has a fiber content of at least five grams per serving. When it comes to breakfast cereal, the more fiber the better. However, you’ll also want to choose a cereal that has low levels of sodium, sugar, and fat to properly equip your body first thing in the morning. Healthy breakfast cereals should generally have less than 220 milligrams of sodium, less than 10 grams of sugar, and less than three grams of fat per serving. 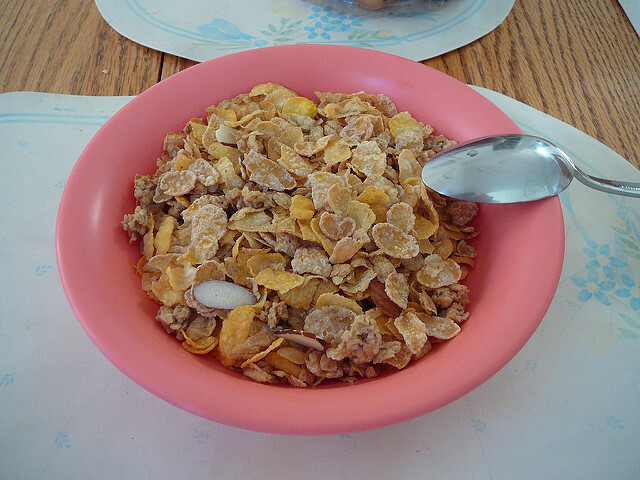 Some brands of cereal that are among the healthiest options include Barbara’s Original Puffins, Cascadian Farms Hearty Morning, and Kashi GoLean Vanilla Graham Clusters. Even if you’ve found a cereal that meets these criteria and that you enjoy, don’t stop there. You can give your healthy store-bought cereal an added boost of benefits with whole foods that you may already have in your kitchen. As an alternative to milk, you can top your cereal with nonfat Greek yogurt for an extra protein boost. Also, you can add a handful of raspberries, blueberries, or blackberries to your cereal to make it richer in antioxidants. Peaches, pomegranates, apples, and figs also make delicious toppings to liven up an otherwise bland breakfast cereal. The bulk food aisle is your best friend if you’re looking to make your own breakfast cereal and know exactly what all of the ingredients are that you’re eating. To keep things simple, you can buy plain granola with no extra sugar or additives in the bulk food aisle and mix it with your choice of fresh fruit, dried fruit, nuts, and seeds in a large resealable container. 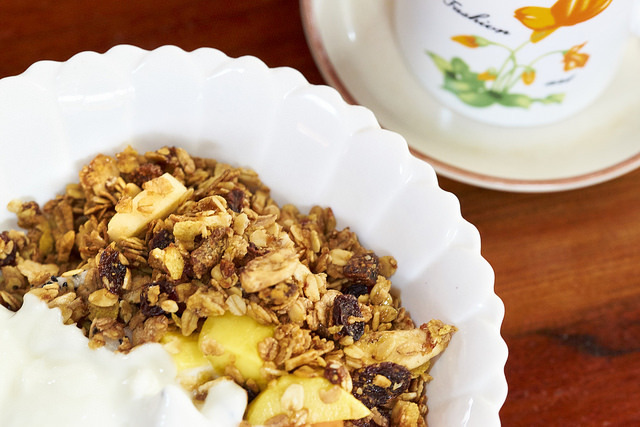 If you’d like a little more guidance, here is an example of a healthy breakfast cereal recipe to try at home for your family. Forget those pre-packaged Honey Nut Cheerios and try making your own honey nut cereal at home instead. This recipe contains healthy omega-3s, will help you sustain energy throughout the morning, and is great for mid-day snacking too. Add honey and coconut oil and stir until thoroughly mixed. Spread cereal on a cookie sheet lined with parchment paper. Put in the oven for about 25 minutes or until golden brown, stirring a couple times throughout the baking. Allow cereal to fully cool and store in a Tupperware container. Before serving, add blueberries and low-fat almond milk. Enjoy your delicious and homemade breakfast cereal!